We fight aggressively to obtain 100% of the compensation available under the law in Atlanta. Drunk driving is a criminal offense, but the impacts of drunk driving can impact innocent victims, and their families through injuries or even worse. Choosing a qualified Alpharetta DUI accident attorney like those at the Singleton Law Firm can help you pursue remedies outside of a court sentence. The numbers from the National Highway Traffic Safety Administration are staggering. One in three of us will be involved in a DUI accident at some point in their lives, and 17,000 deaths are the result each year. And if it has impacted your life, then you should consider what expenses are building up. Will work with you to find out the conditions that led up to the accident, and begin contacting relevant law enforcement agencies or courts to start gathering information. Doing this sooner rather than later can be critical to getting you the results you deserve; defense attorneys often ask for records or test results to be destroyed once a criminal trial is over. We’ll also work with you to get a full account of what expenses you’re going through, from employment to emotional trauma to medical bills. And a good Alpharetta DUI accident attorney can help guide you through the claims process with your health insurer, and find ways to potentially minimize your out-of-pocket expenses by working with insurance adjusters or through a personal injury case. The Singleton Law Firm recognizes that it can be hard to quantify how your life, or the life of your loved one has been affected by this tragedy. But we help clients maximize the financial compensation that can help you get back on track by pursuing all available avenues. Don’t be fooled by insurance company adjusters who low-ball you with quick, but small settlements . Contact a qualified Alpharetta DUI accident attorney at the Singleton Law Firm at 770-889-6010 or fill out our contact form at the top of the page. Our free consultation will help you decided what avenues to pursue, and what you can realistically expect throughout the process. Do I Have A Case? Find Out Now With A Free Consultation! According to Mothers Against Drunk Driving(MADD), over 1.4 million drivers are arrested annually for driving under the influence. The group further explained that 30-35% of all traffic deaths can be connected to a driver who had drugs or alcohol in their system when behind the wheel. Sadly, the problem is habitual, as about 1/3 of all DUI arrests are repeat offenders. In addition, this behavior is strongly connected to age. Those between 21-25 years old commit 24% of the incidents and the rate declines steadily for each age group older than 25 according to the Substance Abuse and Mental Health Services Administration. When a life is cut short by someone else’s negligence, the law in this country says that the only remedy available is monetary compensation or wrongful death settlements. And, after a wrongful death accident, you may be thinking that it is inappropriate to contact a wrongful death lawyer too soon after the death, because of what other people might think or say. But I must say that it is your choice to determine when you are ready to contact a wrongful death lawyer to back you up in your case. A wrongful death lawyer plays an important role in every wrongful accident case. He helps determine if you have a viable claim and make sure that no important deadlines for filing are missed within the wrongful death statute. He deals with complex legal issues involving tort law, probate law, contract law, and insurance law. He ensures that the claim is moving forward at a time when you may need to focus on helping yourself and your family work through the emotional loss. He takes steps to preserve evidence and testimony which might be lost if too much time has passed. However, you must also know that wrongful deaths are not always caused by individual members of the civilian populace. During these instances, the role of wrongful death lawyers on the prosecutor side is to prove that negligence was the reason for the death currently under discussion. Their role is to represent a defendant and prove that the client was not negligent and didn’t cause the death of the victims involved. The legal process can truly be intimidating and confusing. A major part of a wrongful death lawyer’s role is to demystify the process for you. He takes the time to explain things in plain English for you to be able to make informed decisions that are in your best interest for the long term. He commits himself in representing and protecting the rights of individuals and families. Most of the wrongful death lawyers around do not represent insurance companies, hospitals or large corporations. After all, in both cases, the roles of your wrongful death lawyer are still the same. That is, to help you win the wrongful death case that you’ve been a part of. For the people in the prosecution, the focus of your concern must be on getting better – protecting your right to compensation – and getting the compensation and justice you deserve as a survivor of someone who was wrongfully killed. And for those people in the defense, your main concern is to prove that the accused has not been negligent in his actions. Not all personal injury law firms are the same. There are types of attorneys. 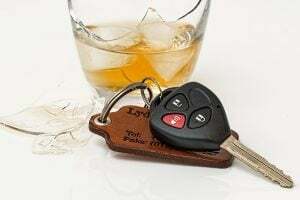 If you have been in an DUI related accident, whether at work, in an automobile or under some other circumstances, you may be wondering if you need to seek the advice and counsel of an attorney. On one hand there are the advertisements by lawyers on television that insist that you need their help to protect your rights. On the other hand, the insurance company that is handling your claim may insist that they are doing everything necessary for your interest and health. Who should you believe? Life can change in a blink of an eye. If you feel someone you loved was victim and now need a lawyer. But how do you know when to call one? Call now each case is different and hesitation could become a liability. The consultation is always free and we at Singleton Law Firm the Atlanta DUI related accidents lawyer is here to help. Singleton Law Firm Offices Nearby. Singleton Law Firm Serves Atlanta and the State of Georgia and can help anyone in the following counties.